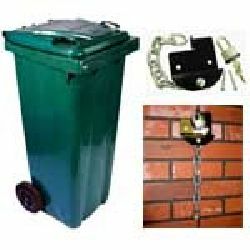 Stop Burglars using your wheelie Bin as a climbing frame to gain access to your flat roofs, windows, etc. 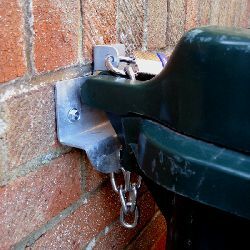 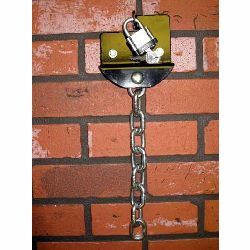 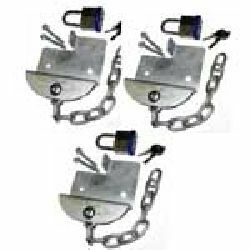 This lock for your Wheelie Bin also provides a simple but effective way to secure a wide range of equipment in your garage, outhouse, etc. 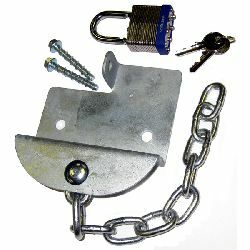 You can use it as a bicycle lock, Flymo lock, ladder lock, or to lock down loads of other things.